At the start of the race, Gert Heyns and Arno du Toit were off to a good start with a leading group of 11 men, which also included Matthys Beukes and Karl Platt. With an attack at the base of the Attakwas mountain, Beukes got the upper hand and broke away from the rest of the bunch. He managed to build up a gap when he reached the tar road that heads back to Great Brak. By then he was followed closely by Gert Heyns and Carstens. 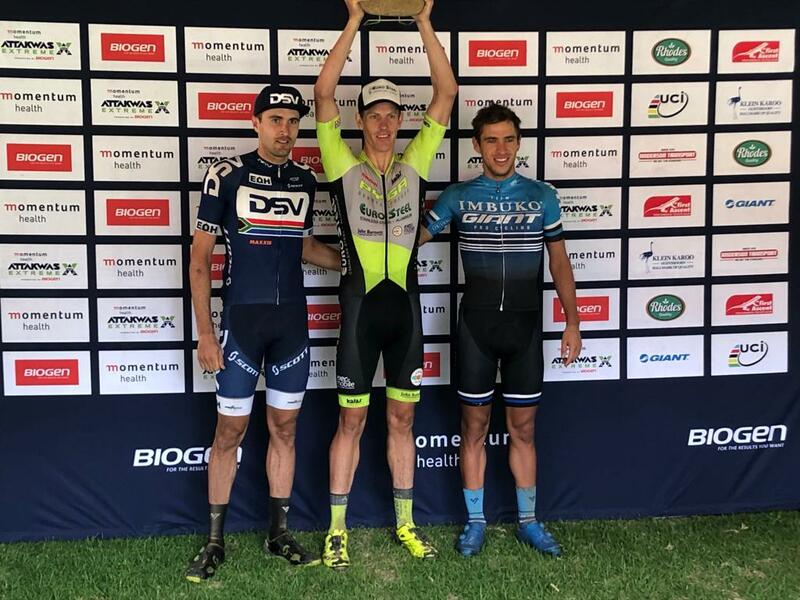 Matthys Beukes managed to take the win followed by DSV Pro Rider Gert Heyns and Nicol Carstens in 3rd.